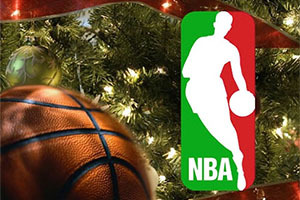 Its Christmas week but the NBA is continuing along as usual and there are some big games lined up for this week ahead. If you are fortunate enough to have some time off over the festive period, you may be in a position where you can stay up late and catch some NBA games live. This is a great time of year for UK and European basketball fans because the holidays mean that there is a better chance of catching the games. The NBA schedule has plenty of festive basketball treats in store this week so have a look at the list of games and see if there is anything you can catch. Heading into a new week, the Warriors are still the team to catch, with a 26-1 record although the Spurs are motoring along quite nicely with a 23-5 record for the campaign so far. 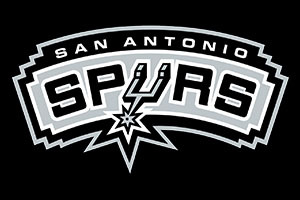 If you are looking for a team that is on a winning run at the moment, the Cleveland Cavaliers have a winning streak of 5, as do the San Antonio Spurs, while the Knicks have won their last four games. The Nets have lost their last 5 games but the 76ers are on a losing streak of 10 games. The Spurs are at home to the Pacers and if you fancy them to keep up their run you’ll find them with a -8.5 handicap, at odds of 1.90. The Knicks are a much tighter bet to maintain their winning streak and you can find them with a -2 handicap at odds of 1.90 for their home game against the Orlando Magic. The Bulls are the big favourites for this game, playing at home to the Brooklyn Nets and if you are looking for a close game, the Thunder and the Clippers is likely to be a very good call. You can find the Clippers at +1.5, at odds of 1.90. There aren’t too many games on Wednesday for fans in the UK and Europe but the 7ers have a chance to get a win and break this losing streak that they have been on. Times have been tough for fans of the 76ers for a long time but the visit of the Grizzlies could provide some respite this week. The Mavericks trip to the Raptors has the potential to be a very good game so that could be the one to keep an eye on. Christmas Eve brings a massive selection of games and if you have any free hours in the early hours of Christmas Eve morning, the NBA will not let you down. The Warriors welcome the Jazz, the Cavs are in New York and the Celtics travel to Charlotte to take on the Hornets. The Nets are at home and there could be a chance for them to get their season moving in the right direction while the Spurs know that their trip to Minnesota could be a tricky one. We don’t have too many games to look forward to on Christmas Day but they are at reasonable times, if you can tear yourselves away from the family or loved ones, and there is a brilliant game taking place on Christmas evening. The clash between the Cavaliers and the Warriors is one that many people have been looking forward to for quite a while and if the game lives up to its billing, basketball fans in the UK and Europe will have a great end to their Christmas Day. There are games for UK and European NBA fans to enjoy at the start and end of Boxing Day so no matter when you have some free time, there should be something that catches your eye. The Spurs in Houston should be a close one and the Los Angeles derby will be of note, even if the Clippers should have enough about them to grab the win. Sunday is the day when UK and European basketball fans get to enjoy a big festive feast of basketball. Stay up late beyond Boxing Day and there is a cavalcade of basketball action to enjoy with the Heat’s trip to Orlando looking like an enticing game. The Celtics travel to Detroit but the Bulls and the Mavericks game could be of benefit. If you want to round off the week in style, the Lakers travel to Memphis on Sunday evening for UK and European NBA fans. Many people in the UK will benefit from having Monday the 28th of December off work, so there is no reason to miss out on the early morning Monday games. The NBA schedule has thrown up the Knicks in Boston and the Thunder welcoming the Nuggets, so make the most of your chance to watch NBA games over the holidays.